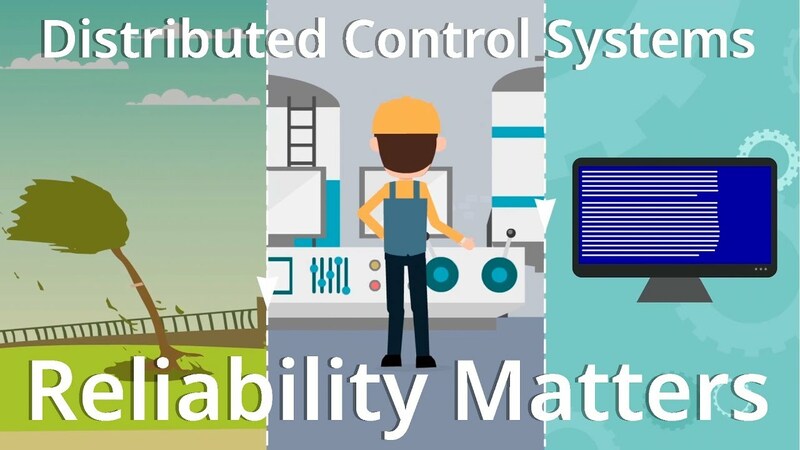 The CENTUM VP Distributed Control System (DCS) is Yokogawa's most advanced, integrated process control system, providing enhanced productivity and optimization across a wide range of industries. For over forty years, the CENTUM DCS family has evolved to meet and exceed the needs of businesses and will continue to do so as they reinvent themselves through digital transformations and incorporate new technologies such as IoT far into the future. When sustainable operation without shutdown time is a requirement for your plant, CENTUM VP is the most reliable distributed control system available. CENTUM VP has a proven availability better than “seven nines” (99.99999%), delivering an allowed downtime less than one minute over ten years. With the latest release of CENTUM VP, operators can still make application changes or perform version updates when foregoing shutdowns. Learn more about the CENTUM VP R6.06 release. Our N-IO greatly streamlines project execution by completely decoupling application engineering from field wiring and hardware installation. Universal I/O modules at the edge eliminate marshalling and reduce wiring by up to 80%. 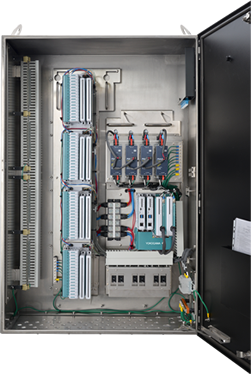 Cabinet delivery, skid integration, and wiring termination can be done anytime during the project. 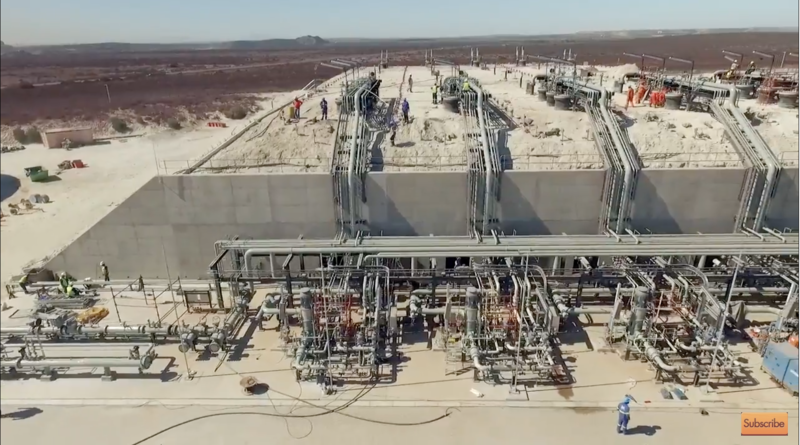 Last-minute changes result in nearly zero project delays. With project decoupling, no factory acceptance test (FAT) is required. Yokogawa’s CENTUM VP technology and OpreX Execution methodology have come together to automate the processes of verification, binding, configuration, testing, and documentation for multiple field devices. 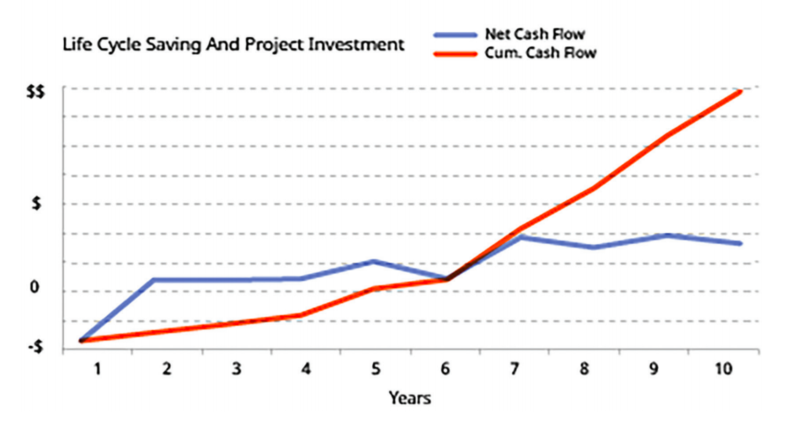 Compared to traditional methodology, project teams can realize reductions of up to 80% in drawings, 90% in wiring design work, and 95%+ in commissioning time. High-performance HMI optimizes situational awareness and enables Advanced Decision Support. Fully compliant with Abnormal Situation Management (ASM) recommendations, our HMI uses the ISA-101 standard symbol library to enable higher productivity and a safer operating environment in process applications. Yokogawa offers a broad advanced solutions portfolio that allows users to optimize all aspects of their processes and sustain profitability throughout the entire system lifecycle. Our advanced solutions all deliver proven results, measurable ROI and definitive risk reduction. CENTUM VP supports standard interfaces, which provide applications compatibility and interoperability throughout the entire enterprise. For users, anytime, anywhere, CENTUM VP provides complete availability of information and readily works with advanced solutions, analytics, artificial intelligence (AI), asset optimization, machine learning, and predictive maintenance systems. CENTUM VP has incorporated native interoperability with Yokogawa’s Programmable Logic Control (PLC), Safety Instrumented System (SIS) and Supervisory Control and Data Acquisition (SCADA) Systems. Standard displays and database compatibility reduce project execution costs while enabling an enterprise automation system with remote operations. Native interfaces with common, third-party OEM PLC products such as Rockwell ControlLogix automate database mapping and reduce integration costs by up to 70%. Yokogawa has been prominent in the cybersecurity standards community for many years and offers a full portfolio of services. Yokogawa is the Cyber Security Managed Service Provider of choice for many customers. We are constantly testing CENTUM VP in our cybersecurity lab and have received such third-party certifications as Achilles, ISASecure EDSA (IEC 62443-4) and WIB (IEC 62443-2-4). AD Suite is a first-of-its-kind integrated engineering environment that transcends traditional DCS engineering functionality. AD Suite facilitates project execution, system integration and site execution. It brings certainty and confidence to all control system project phases as well as through start-up, operation, maintenance, expansion/upgrade, and extension stages of the plant lifecycle. In essence, AD Suite generates a total engineering environment, with an entirely new database structure that feeds standardized and consistent engineering information, maintains engineering data integrity, eliminates inconsistencies between the design information and the actual system, manages change, and supports the automation lifecycle. In addition, it facilitates the reuse of valuable engineering knowhow and eliminates duplication of work for subsequent projects. A rich library of standard application modules substantially reduces customized development, streamlines engineering and eliminates duplication of effort. Hardware-independent application modules prevent discrepancies between design and implementation information by automatically updating the design as changes are made. Bulk engineering functions such as the ability to edit hundreds of ranges in a single edit enable considerable project efficiencies. Version comparison rapidly highlights differences between existing and to-be-imported databases. AD Suite maintains a revision history of all modifications and keeps design implementation information up-to-date throughout the entire plant lifecycle. A dependency analysis allows engineers to check all impacts before modifications are made. Since all project aspects are self-documenting, there is no need for engineers to spend time generating documents and drawings. By separating logical applications from physical hardware such as I/O wiring, AD Suite eliminates dependencies and provides considerable flexibility in project scheduling. 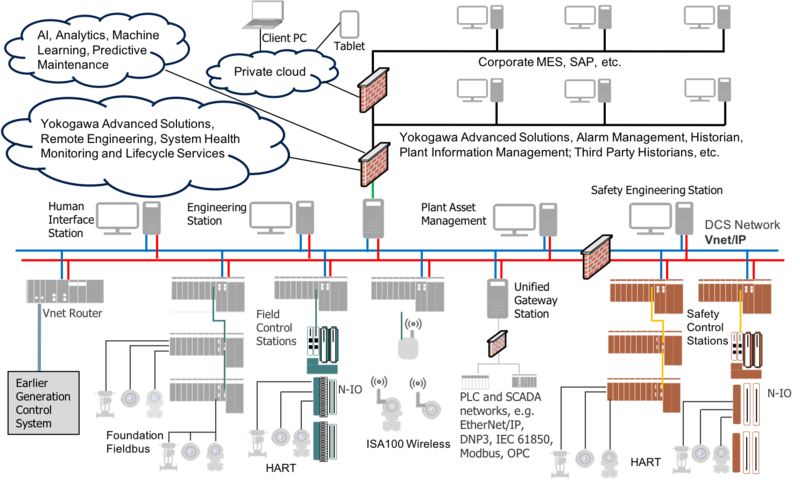 With the addition of a control system virtualization platform, a single server now performs the work of multiple virtual PCs, reducing the number of PCs required to configure a control system. 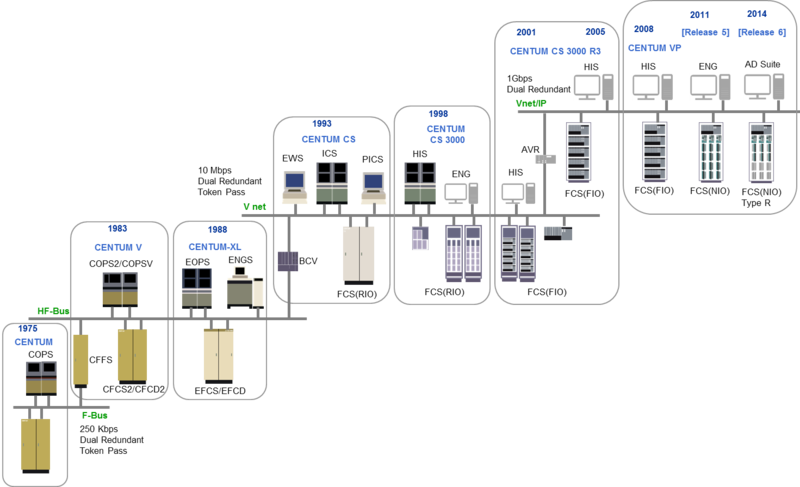 The virtualized server environment allows the operator to update and make modifications to hardware and software separately as required. Both the hardware and software required to build a virtual environment are provided. With the latest CENTUM DCS, operators can perform work when they want - there’s no need to wait several years until the next shutdown maintenance period. Modifications to the CENTUM VP software enable a smoother switchover between the dual-redundant control-side and standby-side CPU modules, improving uptime and giving operators the freedom to choose when to install upgrades. In addition, Yokogawa’s enhanced support organization ensures customers receive all necessary technical support with their system maintenance activities. Updates to the AD Suite* give users the ability to quickly and easily implement modifications to application control logic and alarm attributes. Such modifications to system software can be immediately executed with the single action of clicking on an icon on the editor screen and allow users to implement changes individually or in groups. 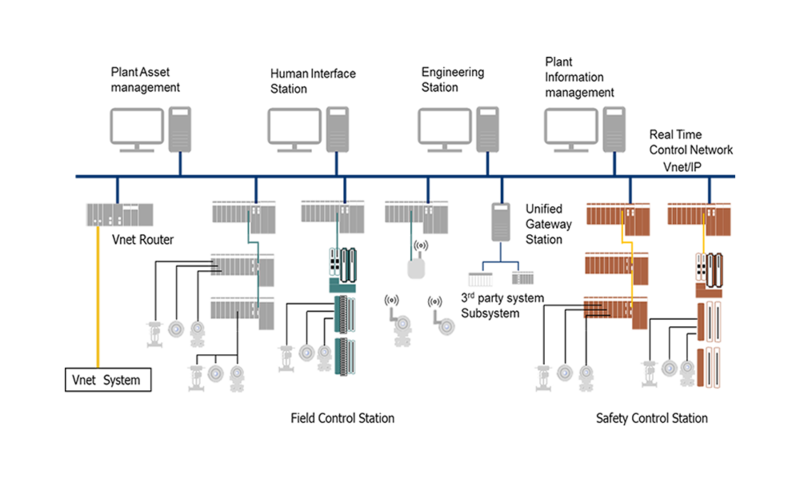 *Yokogawa's Automation Design Suite (AD Suite) is a powerful yet flexible engineering environment that helps engineers produce quality work and improves efficiency over the entire project lifecycle. CENTUM VP R6.06 is compatible with Windows Server 2016, which delivers the latest security functions. To learn more about the release of CENTUM VP version R6.06, read the press release here. For over 40 years, Yokogawa has been developing and delivering stable, high quality CENTUM systems. All the CENTUM series field control stations (FCSs), both software and hardware, have been developed by Yokogawa. CENTUM VP can be flexibly designed ranging from small- to large-scale. The CENTUM VP controller is capable of handling a massive amount of field data at comfortable speeds that fully satisfies the needs in the field digital era. Both the controllers and I/O node units can be placed in remote, classified locations (IEC Zone 2/Class I Div. 2) which saves installation cost. We know single bit of software and hardware to maintain a 99.99999% availability service record. The CENTUM VP controller features outstanding processing performance and a large application storage capacity, yet inherits the same quality and stability that are the hallmark of the CENTUM series. 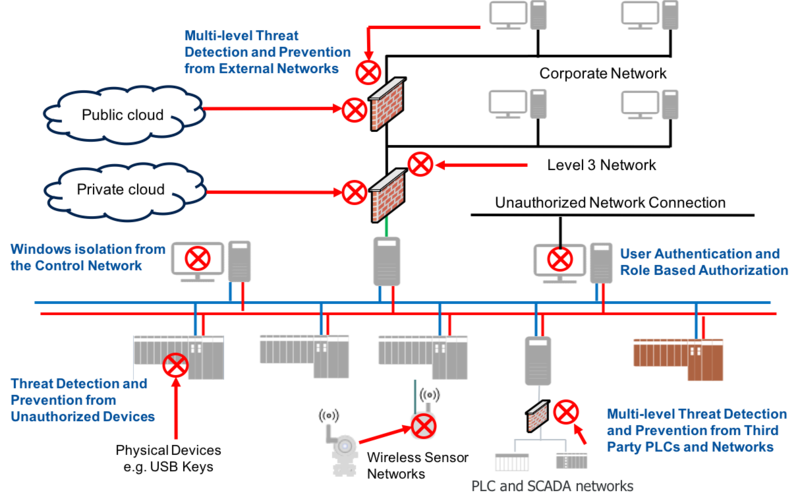 Processor modules, power supplies, I/O modules, and communication buses all support redundant configuration. The latest release of the controller has been optimized to take full advantage of advancements in field digital technology that will help plants operate with increased efficiency and stability. 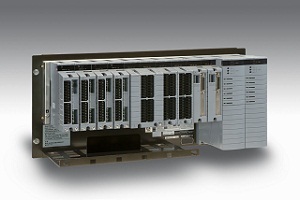 A high speed remote I/O unit enables connecting controllers over remote site up to 50 kilometers via optical fiber cables. 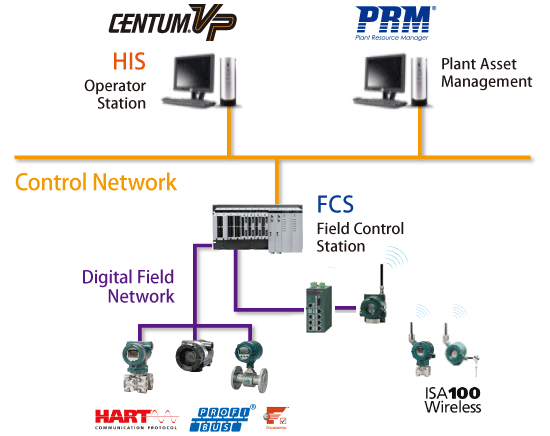 CENTUM VP supports a wide variety of communication interfaces and digital field networks such as FOUNDATION™ fieldbus, PROFIBUS-DP, Modbus RTU, Modbus CP/IP, and DeviceNet. Device diagnosis communication and SOE functions are enhanced. Changes in the mechanism to access device data have contributed to reduce loading to the main processors and improves the performance of the plant asset management software, Plant Resource Manager (PRM). This is a unique feature of the CENTUM series that improves the stability of process control. Each processor module has redundant CPUs that execute the same computations simultaneously. Their outputs are constantly compared and a bump-less switchover to the stand-by processor module is initiated if any anomalies caused by electronic noise or other phenomena are detected. 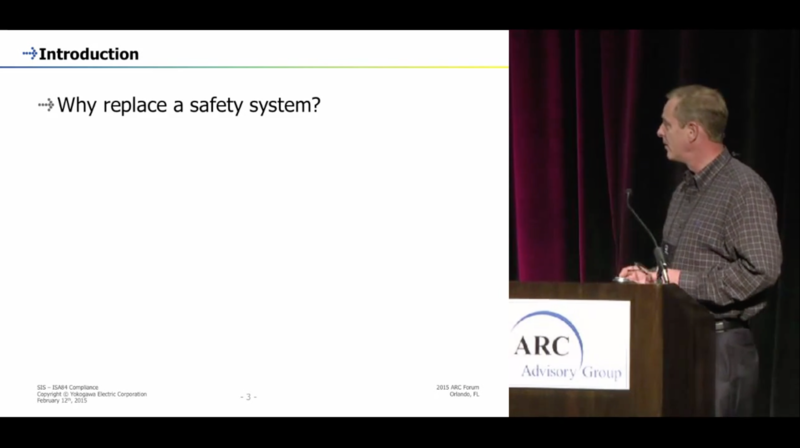 This minimizes the likelihood that errors will have any impact on process control. Our pair & spare technology is the key to achieve the 99.99999% of availability. N-IO (Network I/O), the next-generation software configurable smart I/O, reduces footprint, lowers marshalling costs and allows flexible I/O binding. Matched with the FieldMate Validator, our commissioning tool, this allows for significantly faster project completion and reduced costs without compromising on quality. N-IO has AI/AO/DI/DO in each I/O channel. Each I/O channel can be changed to other I/O types by software programming. N-IO implements a wide variety of built-in signal conditioners on its baseplate. In most cases, there is no need to prepare external signal conditioning or the additional space this requires. The same N-IO baseplate supports both single and dual redundant formations, eliminating the need for multiple hardware/software vendors when implementing redundancy. The N-IO baseplate supports Intrinsically Safe I/O barriers. FIO (Field network I/O) is a series of low-cost I/O modules which have been developed to improve packaging density. The large available range of modules enables you to configure your system to match the requirements for process signals, and to provide for different levels of isolation. Type N and non-incendive protection provided as standard. I/O modules with a built-in intrinsic safety barrier available. 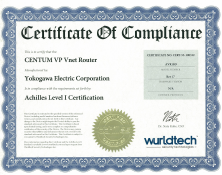 CENTUM VP achieves the Operational Excellence that is the focus of Yokogawa's Production Excellence, Safety Excellence and Asset Excellence initiatives. It offers integrated viewing and data handling functions. For example, alarms from the ProSafe-RS Safety Instrumented System and Plant Resource Manager, Yokogawa's Asset Management product, can be seen and handled seamlessly in the Human Interface Station (HIS). All plant process data and device data are handled by CENTUM VP. Yokogawa offers an intuitive and easy-to-understand HMI environment for plant operation and monitoring, which is the result of vast experience with CENTUM systems in operation. Flexibility in displaying operation windows and monitors helps in adapting to various aspects of operation needs. CENTUM VP provides easy-to understand graphics based on the ergonomics and knowledge engineering. For instance, data displays are provided with high visibility that enables intuitive awareness of the situation. The use of colors considers the best contrast and environments of the central control room and the configuration of the displays integrates the knowhow of experienced operators. With all these functions, CENTUM VP enables operators to make quick and accurate decisions during operations and contributes to improve operation efficiency. Continuously displays the latest alarm messages, keeping operators up to date on process conditions. Contains navigation tools for the convenience of operators, frequently-used icons can be grouped in a My Favorites folder. Lists the previous operational displays. Operators can quickly call up previously-used graphics windows. The AOG (Advanced Operator Graphics) solution emphasizes ergonomic design and seeks, through improved color selection, layout, and visual function, to improve operators situational awareness. A team of Yokogawa engineers visited many plants to conduct a detailed analysis, review the tasks carried out by operators, and learn about the plant's operations. In accordance with general principles on industrial design and human engineering, Yokogawa then redesigned the GUIs for the HMI displays to reduce operator errors, make their work easier to perform, and reduce physical stress. 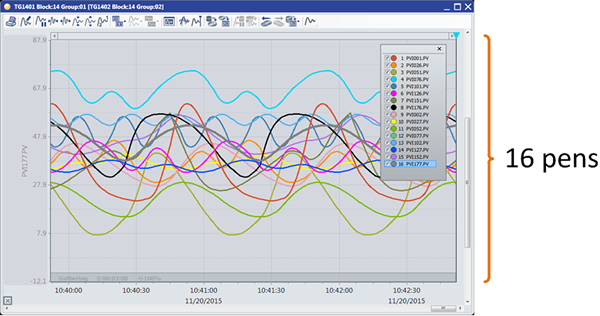 By using the Trend Recording function, process data such as temperature, pressure and flow rate coming into the Control Station are gathered by the HIS, and the time-series changes in the process data are displayed in a graph (trend graph). 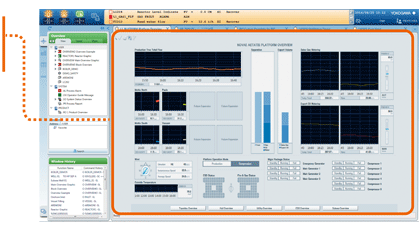 The HIS trend recording function acquires a variety of trend data types, suitable for a continuous process plant and a batch process plant. The continuous-type data acquisition is suitable for recording and monitoring data for a long period of time. The batch-type data acquisition starts and stops acquiring data according to the commands received from operators. Comparison between the actual data and a reference pattern is also available for the batch-type. A unique USB keyboard is available for CENTUM VP option. The 64 function keys and the numeric keypad can be used by operators to call up graphics by pressing a single key. Switching between frame tabs can be done by pressing the container window key. The keyboard has two built-in speakers and the key pitch complies with IEC 9241-11. A touch sensor highlights the selected operating instrument on the screen to prevent unintentional input errors. A single-loop operation keyboard and an 8-loop simultaneous operation are available. Yokogawa’s innovative engineering tools provide greater flexibility and up-to-date plant knowledge, resulting in improved ease of use and management within the CENTUM VP distributed control system. Our three smart engineering products - N-IO (The Network I/O), FieldMate Validator, and Automation Design Suite - simplify project management, shorten project duration, and reduce project risk, helping overcome our customers’ toughest challenges. System Independent Loop Commissioning utilizing the FieldMate Validator is an innovative tool, which allows for field testing validation of N-IO without requiring a deployed system. After the I/O design is fixed, application engineering and hardware engineering can progress independently and parallel. Retains your entire plant engineering history from design phase to commissioning and live operation, providing up-to-date knowledge with every expansion or change throughout the lifecycle. Provides dynamic management of design, investment and project effectiveness by auditing and versioning engineering changes and facilitating effective engineering through ModPacks (Modification Packages). This helps maintain project schedules by reducing the delays and the engineering impact of late design changes or scope changes. Auto-documents and checks inconsistencies in project activity and software resources, significantly reducing project risk. Yokogawa realized the potential of field networks in a production control system early on and designed its systems with field networks in mind. CENTUM VP supports FOUNDATION™ fieldbus, HART, PROFIBUS-DP, DeviceNet, Modbus, Modbus/TCP, Ethernet/IP and ISA100.11a wireless. The CENTUM VP integratedly controls and monitors these field devices from various vendors with various communication protocols. The engineering for fieldbus function blocks can be performed in the same way as for other function blocks in FCS. The operation and monitoring environment is also the same for the fieldbus function blocks and other FCS function blocks. 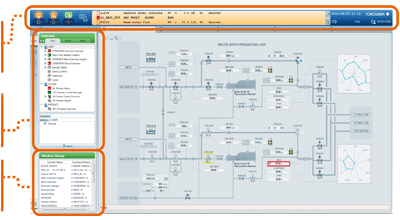 No additional requirements for engineering, operation and monitoring of the fieldbus applications in Yokogawa DCS. The most favorable merit for applying fieldbus is highly efficient maintenance of field devices. Yokogawa offers an asset management software package, Plant Resource Manager (PRM), for device management and diagnosis. With PRM, the advantage of fieldbus can be optimized so as to make the maintenance of the whole system more efficient. The maintenance information of devices are collected by PRM via fieldbuses and stored in the PRM database. The corresponding maintenance schedules, maintenance procedures and spare parts information are also stored accordingly in the same database. The maintenance of the field devices can be performed through fieldbus. Thus the maintenance engineers are considerably relieved from going to the fields of the devices in the remote areas and hazardous areas. Audit trail management is important in both control and maintenance systems. All maintenance works on devices, which are maintained by PRM, are recorded and stored, and can be easily retrieved too. By integrated management of device management information, the replacement cycle of devices and trend of device troubles can be predicted. 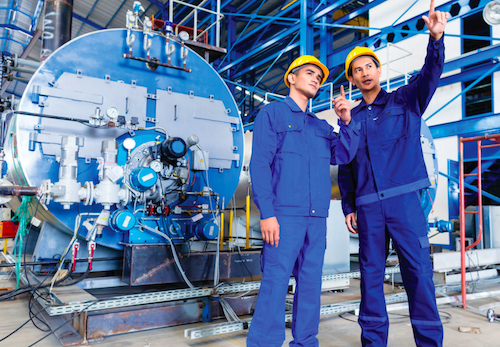 This technique minimizes the impact of device problems on plant operation, and maintenance work and parts procurement can also be planned and scheduled. PRM can create a database for legacy devices in addition to Fieldbus devices. 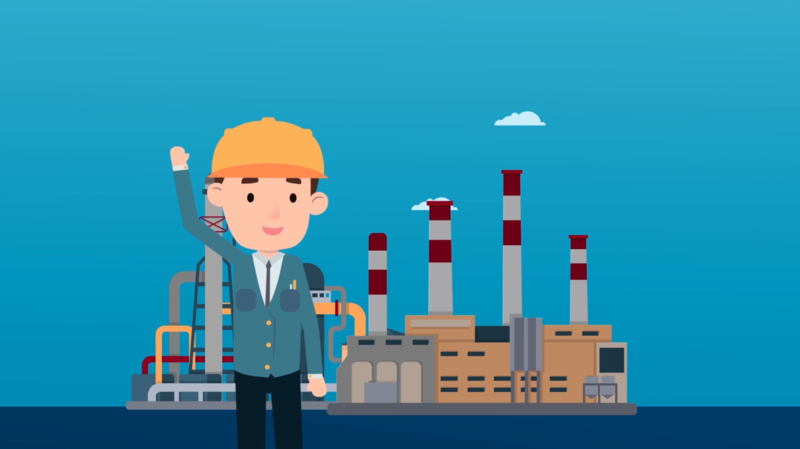 Maintenance information is recorded and managed in a database for integrated, overall planned maintenance of all devices in the plant. The FOUNDATION™ fieldbus device files in this section are categorized according to whether the devices have undergone Host Interoperability Support Testing (HIST). HIST is an invaluable tool in determining whether a specific fieldbus device is interoperable with a host system. FOUNDATION™ fieldbus laboratory is established in Yokogawa Singapore. Yokogawa is running the HIST program according to the FOUNDATION™ fieldbus specifications. Yokogawa is continuing development of HIST in cooperation with other device manufacturers. The list of field devices that have passed the HIST can be checked on the Interoperability page. The unified gateway station (UGS) acts as an interface, allowing CENTUM VP to communicate with STARDOM network-based control systems or other third-party subsystems such as Modbus RTUs, Modbus/TCP units, EtherNet/IP units, OPC DA units, and intelligent electronic devices (IEDs). It utilizes the EC 61850 protocol, which has been widely adopted by the power industry. CENTUM VP field control unit has obtained the ISASecure® Embedded Device Security Assurance (EDSA) certification from the ISA Security Compliance Institute (ISCI). The certification was obtained through a process that involved an examination by the CSSC (Control System Security Center) Certification Laboratory. It ensures that CENTUM is equipped with the cyber security features to be used in the industries such as oil, petrochemical, power and many others. 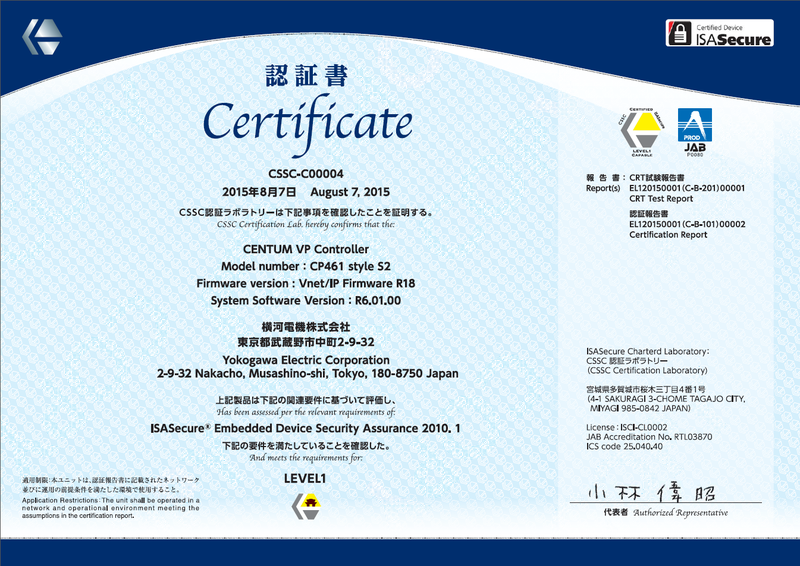 Wurldtech Security Technologies, Inc. has duly tested and certified Yokogawa’s AFV10D controller, AFV30D controller, AVR10D V net router, and AW810D WAC router with Achilles Level I test, which ensures the end-point security of the controllers. 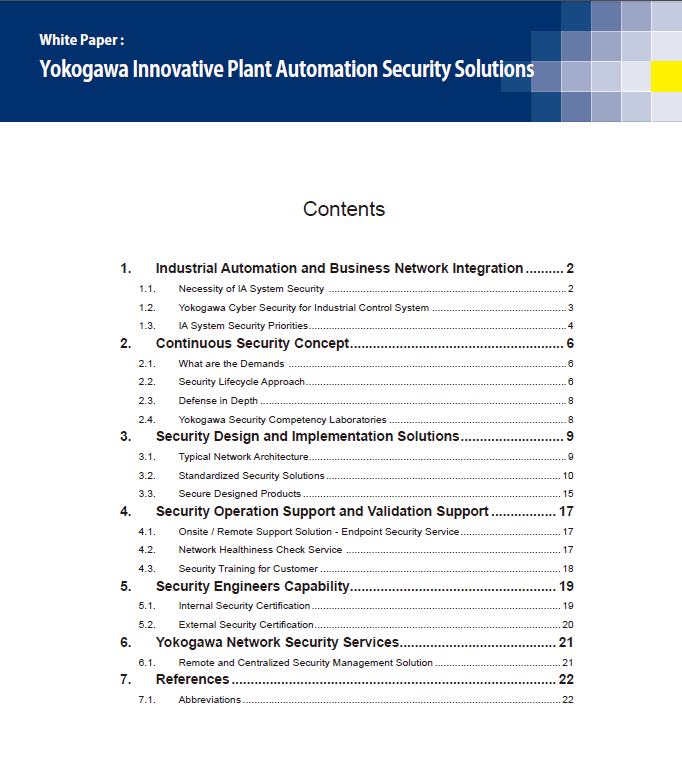 Yokogawa built its security lifecycle approach upon industry cyber-security standards. 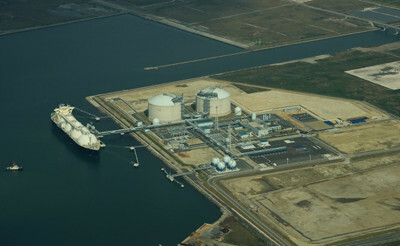 And Yokogawa provides an effective security service in response to the customer's requests and operational conditions. Yokogawa's global network of 25 manufacturing facilities and 88 companies spans 55 countries. Since its founding in 1915, the US$4 billion company has been engaged in cutting-edge research and innovation, securing more than 7,200 patents and registrations. Yokogawa’s global network of engineering resources is ready to respond whenever and wherever to our customers’ requirements. 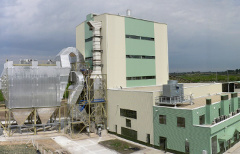 We take pride in our VigilantPlant mission of realizing the ideal plant for our customers. Our customers can depend on our service offices and maintenance engineers for support whenever it is needed, at all phases of the plant lifecycle. In line with our VigilantPlant vision for the ideal plant, Yokogawa provides a comprehensive suite of services that ensure safe, reliable, environmentally friendly, and profitable plant operations. Periodically, system software must be brought up to date by adding new functions, enhancing existing functions, and fixing bugs. For a variety of reasons, many of our customers would prefer to wait for a scheduled plant shutdown to update their system software to the latest version. Even if a customer has not yet installed an earlier version of the software, Yokogawa guarantees that the system will keep working normally and without interruption when the latest software version is installed. 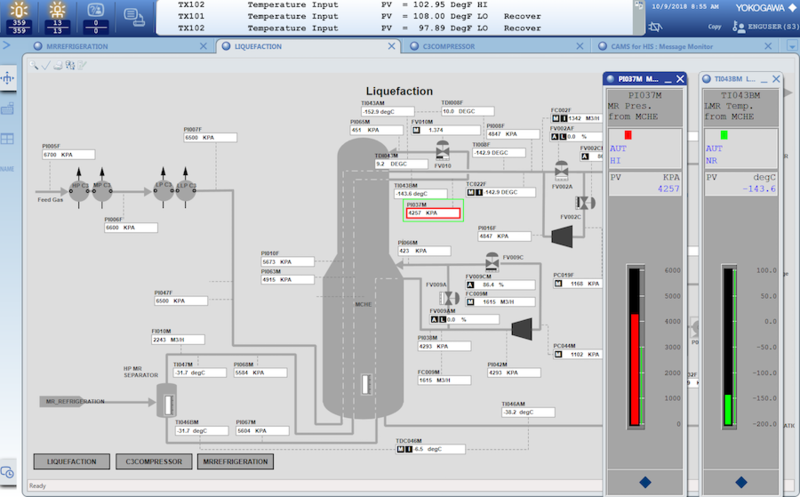 Yokogawa also guarantees that the software will be fully compatible. 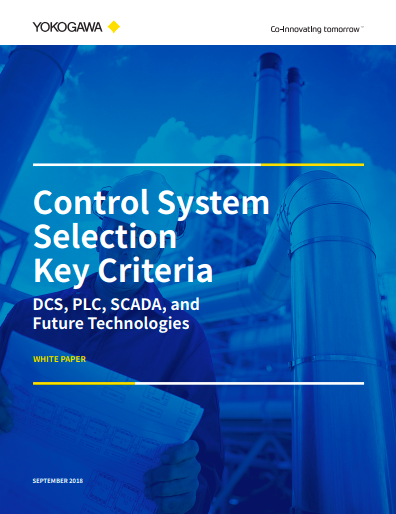 Our customers often need to modify or expand a control system after it is installed, and major concerns with this include avoiding disruptions to plant operations, minimizing the shutdown period, and minimizing the risks of a hot system cutover. Yokogawa offers a virtual environment for FCS and HIS where both the control and operator functions of the CENTUM database can be tested without FCS hardware. It ensures the new programs will work when they are installed, reduces risks of system failures, and minimizes the shutdown period. For each of its CENTUM systems, Yokogawa has paid particular attention to helping its customers manage lifecycle costs by optimizing the upgrade process. Upgrading is simple and quick. All of Yokogawa's legacy CENTUM systems can be controlled and monitored from a newer CENTUM system. 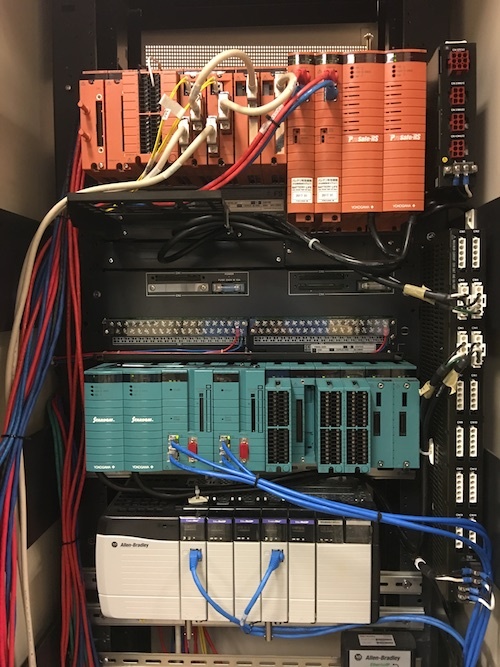 Via a control network, CENTUM VP can control and monitor operations at a plant that relies on a CENTUM V, CENTUM-XL, CENTUM CS, or CENTUM CS 3000 system. 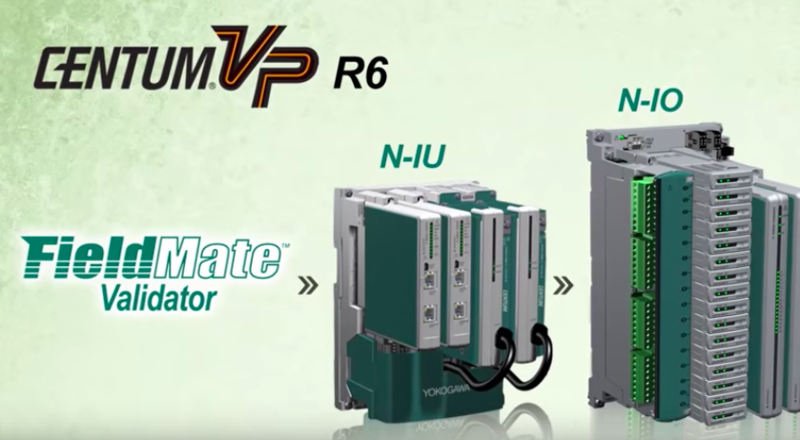 The latest CENTUM VP can also communicate with both the N-IO and the more traditional FIO and Yokogawa will continue to sell and provide long-term support to both types of I/O. Thus, by allowing its customers to utilize their existing assets wherever possible, Yokogawa offers them a cost-effective way to upgrade their production control systems. CENTUM has been Yokogawa’s DCS brand since 1975, when the first generation CENTUM system was released to the market. Many of our competitors in the DCS market have either been acquired by other companies or have disappeared from the market together with their control systems. Only a handful of the companies that were first active in this market are still around today. Not satisfied with another vendor’s control systems? Consider migrating to it to CENTUM VP. We have successfully migrated over 350 non-Yokogawa systems so far and the number is steadily growing. To name a few: Bailey INFI90, Foxboro I/A, Emerson RS3/PROVOX/DeltaV, Eurotherm, Hartman & Brown ContronicP, Hitachi, Honeywell TDC2000/TDC3000/PKS, Siemens SIMATIC, Taylor MODCELL, Toshiba, Allen-Bradley PLC. 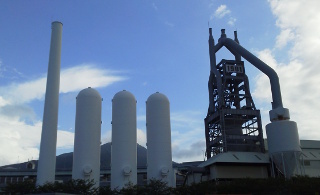 First generation CENTUM had contributed to the production of high-quality steel product at the NSSMC's Yawata Works for 33 years. Yokogawa had pursued innovation of process control technology with the customer during the decades. Process manufacturers continue to demand more from their plants and automation systems. This demand is driven by business pressures for greater manufacturing flexibility and by customer pressure for faster, smaller deliveries and higher service levels. Manufacturers also realize that they need to improve the quality of their manufacturing operations for any number of reasons, most especially safety, as recent major accidents have shown. Abnormal operations, especially, present risks that these manufacturers need to reduce. 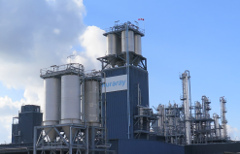 Todays modern industrial control systems have a significant impact on your plants operational efficiency and bottom line. 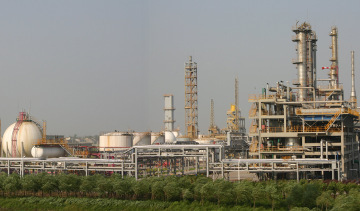 Are your process control engineers operating in a secure environment? 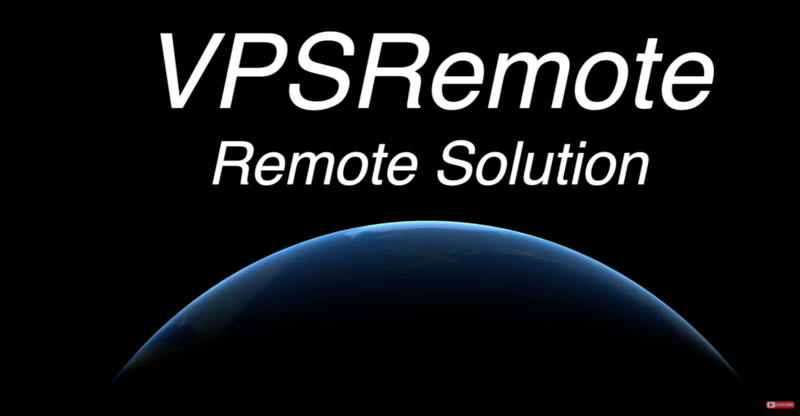 In an increasingly mobile workforce getting critical information top the right people is now possible with Yokogawa VPSRemote.